Not quite 100 new British (with a couple of Irish) songs to texts old and new, recorded at the new Kings Place Hall 1 prior to its opening festival, to celebrate the label's 20th anniversary. Click on the tracklist of NMC's celebratory project and sample each one to get the flavour of Colin Matthews' enterprise; they'd expected enough songs for a 2CD set but more and more came in and The NMC Songbook grew to fill 4CDs! There you will find a three page essay about the NMC Songbook by Bayan Northcott, which tells how the project grew beyond expectations, with far more than 100 composers writing songs for token payment of a bottle of bubbly (they didn't all manage to keep to the prescribed three minute limit). I have enjoyed many of them but am glad that Northcott spares us the task of reviewing 100 new compositions; far better to sample those of the composers whose names catch your eye and read Bayan Northcott's overview. On p. 11 you will find an interview with Nicola LeFanu, leading champion of women composers (interestingly, that not mentioned) about her life in music as student, teacher, composer and listener. And pages 12-18 are given over to the listings, formerly London-centric, nowadays country-wide. Read the entries there in print size of your choice, and follow the links on each entry to learn more about the organisations. The paper edition's designer would do well to consider the poor eyesight of some readers by eliminating the pale green venues listings; but all is well online ! Acquire the Songbook and sign up to soundandmusic.org . There will be launch concerts of the SongBook for a week Monday 30th March 2009 - Sunday 5th April 2009 at Kings Place, where the discs were recorded and can be bought, and there is a UTube vodcast about the making of The NMC Songbook at http://nmc.greedbag.com/. 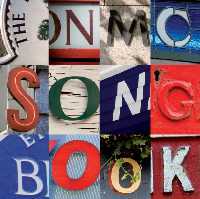 The NMC SongBook has made headway and is shortlisted for Gramophone awards 2009. 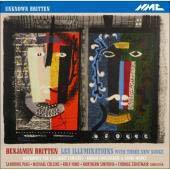 Zehetmair is noted for high octane performances with his sting quartet and this orchestra, and there is an engaging account of his earliest song cycle Les Illuminations.by Sandra Piau. Wisely, the discarded songs are given as an appendix, with no attempt to integrate them into the published sequence. High hopes were quickly dashed; the rest of the disc doesn't amount to much. The other fragments etc would make (probably have made) a good seminar in a music department, but they will disappoint Britten enthusiasts at large; nothing here to claim a place in the repertoire. A brief welcome with every enthusiasm for this compilation of commissions, from senior figures in British music and younger composers, for the thirtieth anniversary of Endymion, a chamber ensemble formed in 1979 from a group of outstanding National Youth Orchestra students. In its early days Endymion was resident in my local Blackheath Halls, where I reviewed their concerts regularly. 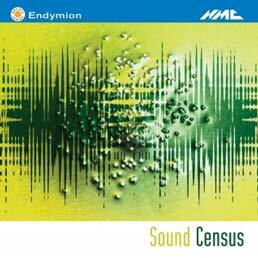 Endymion retains most of its original players, now amongst the best European soloists and chamber musicians. The discs are officially launched this coming weekend, and audio samples are promised "soon". Recommended as essential listening for followers of British contemporary music.